As hard as it may be to believe, blackening is a relatively new addition to the Cajun lexicon. 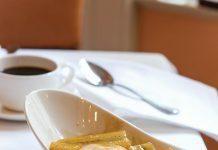 Chef Paul Prudhomme pioneered the method in the early 1980s while cooking at New Orleans’ Commander’s Palace. 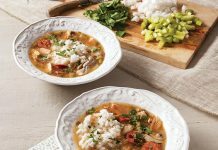 As his fame grew and he introduced Cajun-style cuisine to the rest of the world, the term became synonymous with spicy. But blackening is more than just spice. 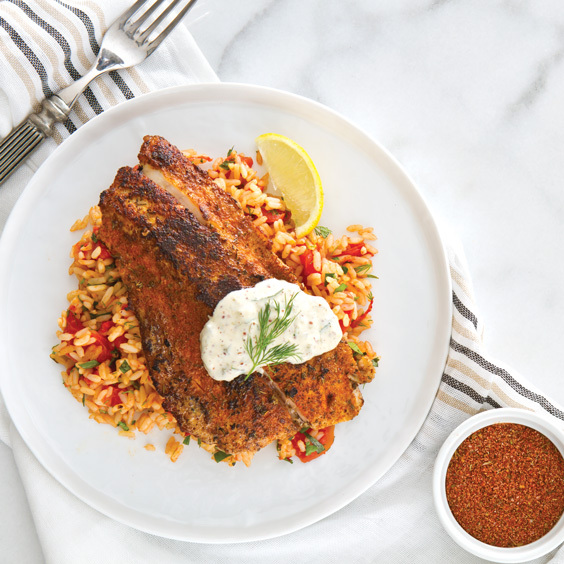 The crispy coating of butter and spices can capture tender morsels of chicken and fish. To save our kitchens from the spicy smoke that is the unavoidable byproduct of blackening, we took advantage of our outdoor grill. If you’d rather keep it inside, just preheat your oven and cast-iron pan to 500°. 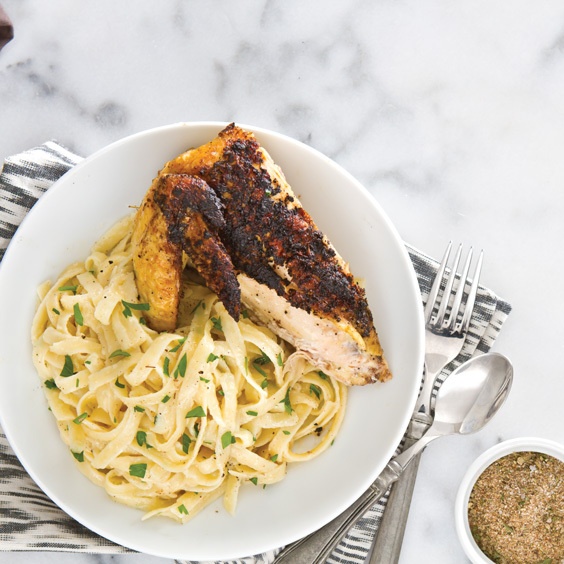 Along with a traditional blackening spice that features thyme, oregano, and cayenne, we mixed up two more, one with an Asian twist, and another perfect for a blackened chicken fettuccini. Give the meat or fish time to develop a blackened crust before turning. 1. In a small bowl, whisk together mayonnaise, relish, mustard, sour cream, capers, 1 tablespoon tarragon, and salt. 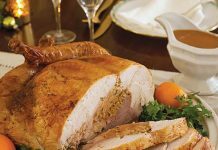 Cover and refrigerate up to 5 days. 2. In a medium saucepan, heat 2 teaspoons oil over medium-high heat. Add garlic, and cook, stirring, for 1 minute or until tender. Add rice, and stir about 2 minutes or until rice becomes translucent. Add wine, and bring to a boil. Cook, stirring, until wine is absorbed. Add broth and tomato, and bring to a boil. Add 2 teaspoons Blackening Rub, stirring to combine. Reduce heat to medium-low; cover, and cook 15 minutes or until liquid is absorbed and rice is tender. Remove from heat. Stir in parsley, dill, and remaining 1 tablespoon tarragon until combined. 3. Preheat grill to 400°. Place a 12-inch cast-iron skillet on grill while grill heats. 4. Sprinkle remaining 2 teaspoons Blackening Rub evenly over fish. 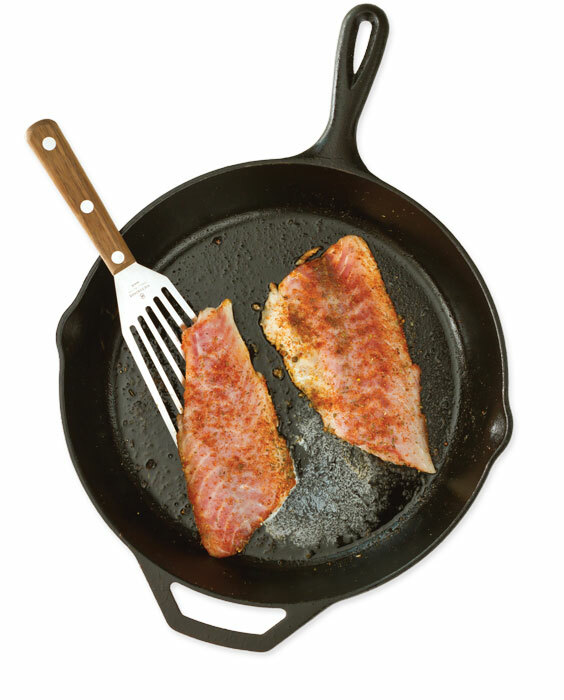 Add remaining 1 tablespoon oil to skillet; when oil begins to smoke, place fish gently into pan, rub-side down. Add butter. Cook 21/2 minutes per side or until flesh flakes with a fork. Remove from pan. Serve immediately with rice and sauce. Garnish with lemon, if desired. In a small bowl, combine all ingredients. Transfer to a sealed container, and store up to 6 months. To combat watery eggplant, generously rub the flesh with salt and let stand up to 1½ hours then rinse and pat dry. 1. Spray a grill grate with nonflammable grilling spray. Preheat grill to 400°. Place a 12-inch cast-iron skillet on grill while grill heats. 2. 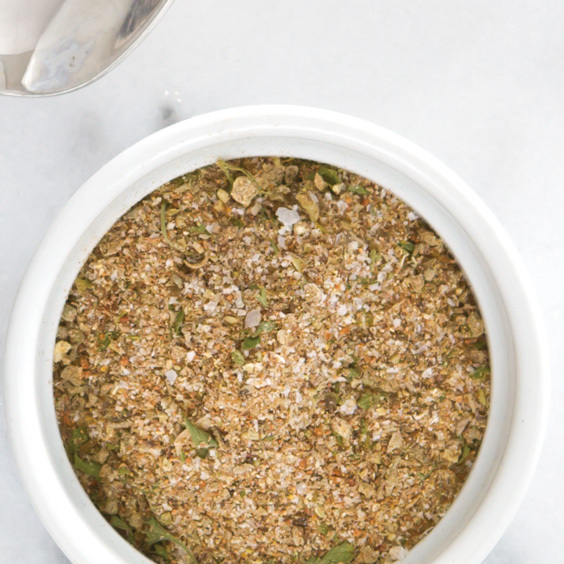 In a small bowl, whisk together yogurt, lime juice, basil, ½ teaspoon Spicy Lemongrass Blackening Rub, and ¼ teaspoon salt. Cover and refrigerate until serving. 3. In a large bowl, combine fennel, red onion, squash, mushroom, 1 tablespoon oil, pepper, and remaining 1½ teaspoons salt. Using tongs, gently place vegetables on grill, cooking about 4 minutes per side or until lightly charred. Transfer to a bowl, and keep warm. 4. 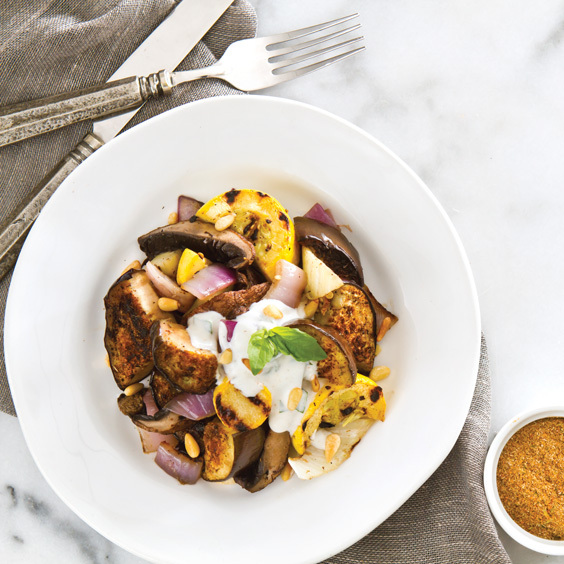 Sprinkle eggplant slices with remaining 2 tablespoons Spicy Lemongrass Blackening Rub. 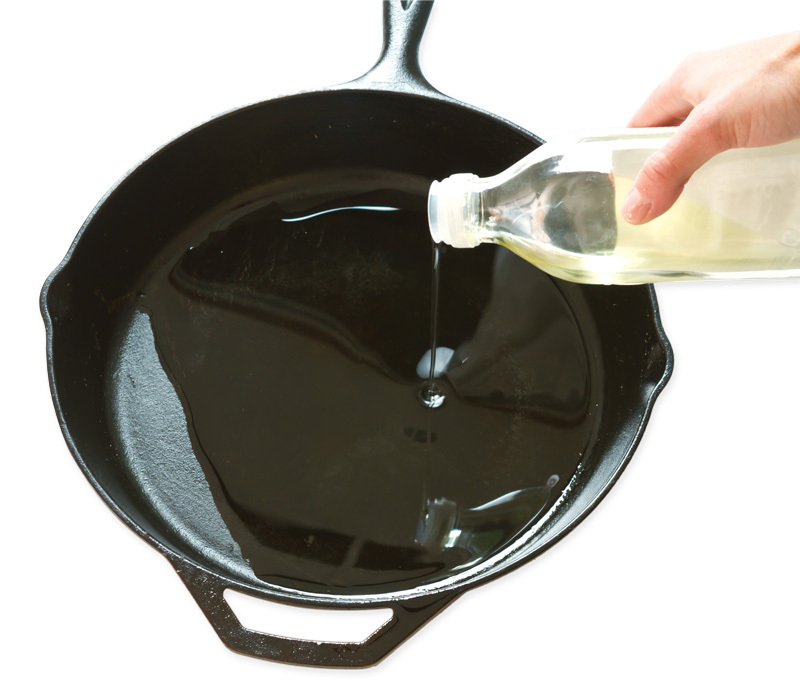 In prepared skillet, heat remaining 2 teaspoons oil. Add eggplant, and cook 3 minutes per side. Remove from heat, and quarter. 5. Chop fennel and red onion. Halve squash, and cut mushrooms into strips. 6. Divide eggplant, fennel, red onion, squash, and mushrooms among 4 bowls. Top with yogurt mixture and pine nuts, if desired. Serve immediately. 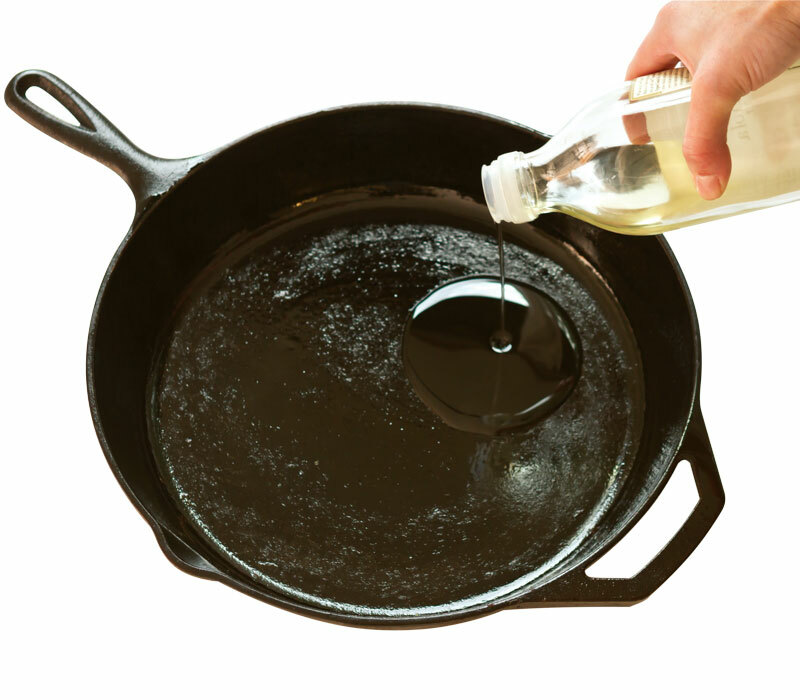 Before adding oil to the cast-iron pan, make sure the pan is smoking hot. 1. Preheat grill to 400°. 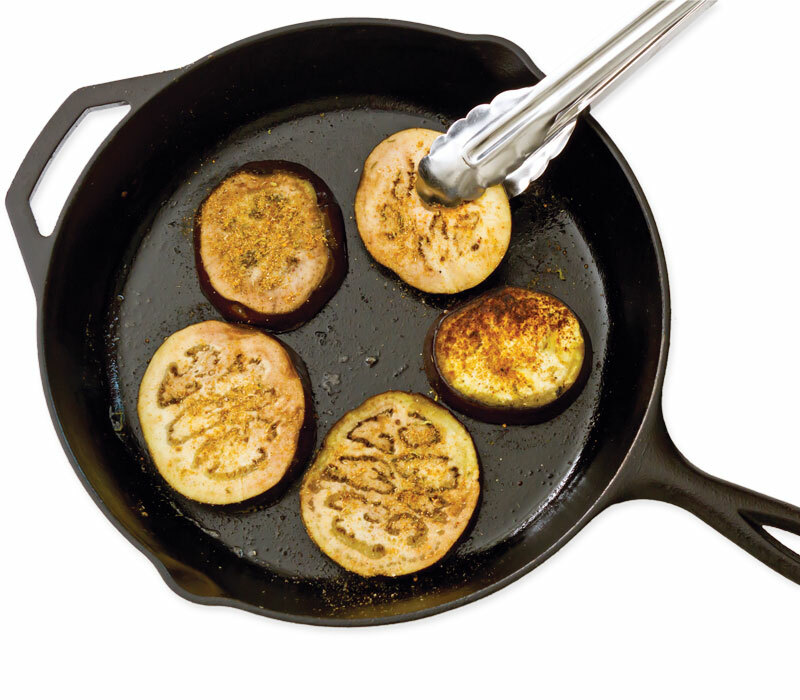 Place a 12-inch cast-iron skillet on grill while grill heats. 2. Press chicken so it lays flat. 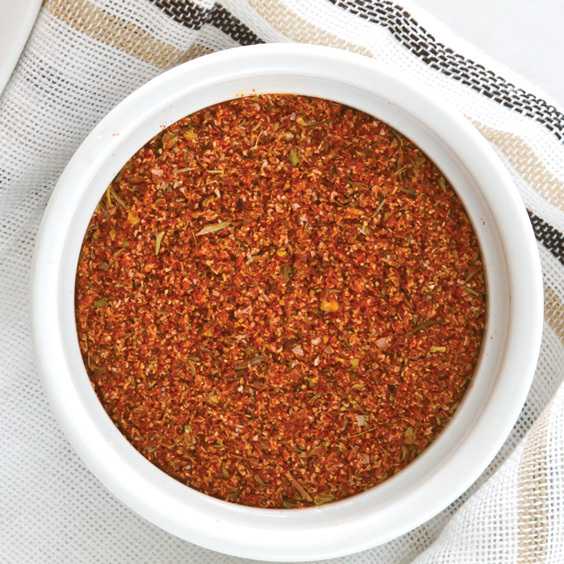 Sprinkle 2 tablespoons Creole-Italian Blackening Rub evenly over chicken. Add oil to skillet, and place chicken in skillet skin-side down. Add 1 tablespoon butter, and close grill lid. Cook 20 minutes or until charred. Using tongs, carefully turn chicken. Cover grill, and cook 30 to 35 minutes more or until a meat thermometer registers 165°. Remove from heat. Cut chicken into 4 pieces, and keep warm. 3. In a large skillet, melt remaining ½ cup butter over medium heat. Add heavy cream; bring to a boil. Gradually whisk in Parmesan until smooth. Using tongs, add warm fettuccine, tossing to coat. 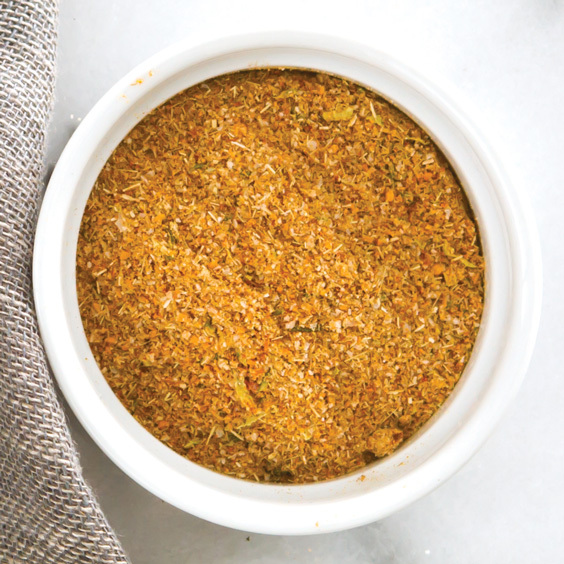 Add remaining 2 teaspoons Creole-Italian Blackening Rub, zest, salt, nutmeg, and parsley until combined. Serve immediately with chicken. * Fenugreek is a spice often used in Middle Eastern cuisine that imparts a bittersweet taste, almost like burnt sugar.